Workers pick up shifts at a variety of businesses and learn new skills while earning extra cash. 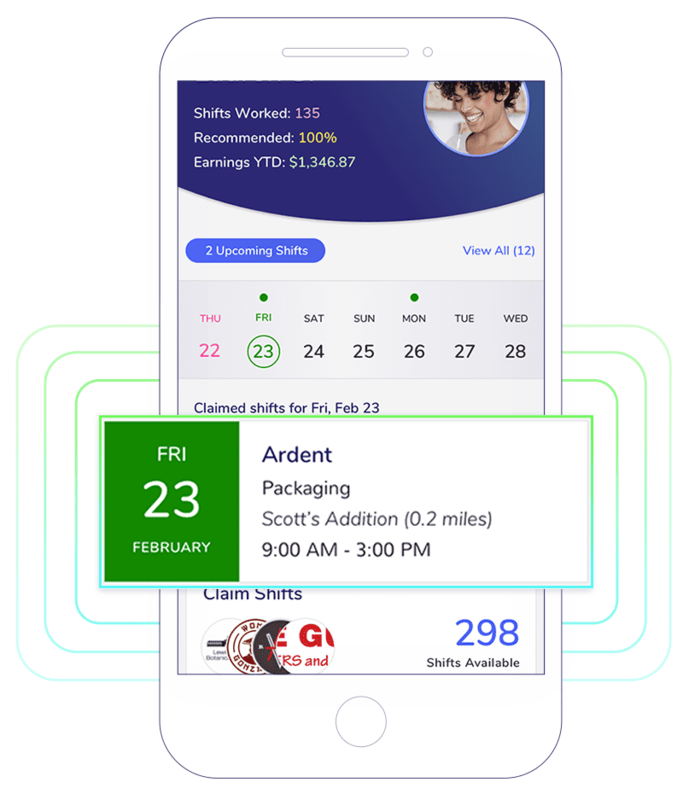 Fill scheduling gaps and cover shifts in minutes with pre-screened, quality workers. Businesses pay zero subscription fees and workers have total control of their work schedules. 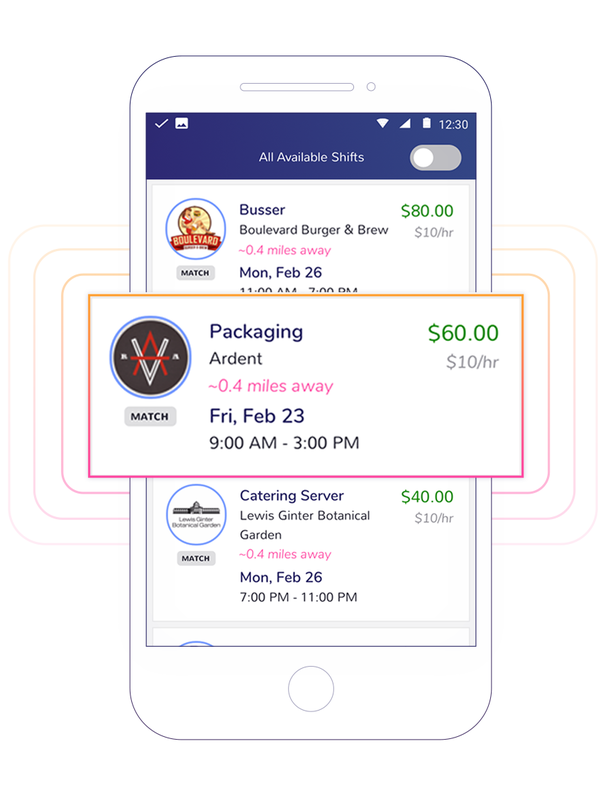 Businesses post shifts and workers are instantly alerted and matched based on their skills and availability. Snag Work recruits, hires and performs background checks to ensure quality workers. 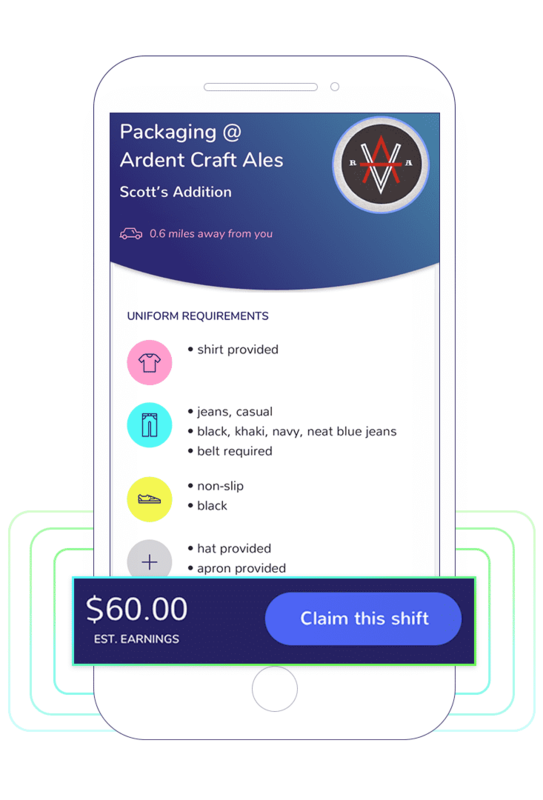 Workers review shift details including uniform and basic requirements, they claim the shift and show up prepared and ready to work. 70% of all shifts are filled within a few minutes. From insurance coverage to worker pay, Snag Work handles everything—so managers don’t have to. Workers earn more than minimum wage. I’ve been offered traditional, scheduled jobs since I’ve been snagging and I’ll never go back to working a ‘normal’ job. Snag Work transcends all industries of business. Their staff and customer service are among the best I’ve ever seen!